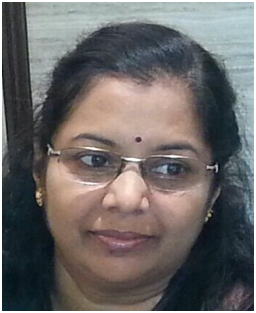 Dr. Nutan Nabar is Consulting Ayurvedic Physician (MD Ayurveda- Kayachikitsa from Ayurved Mahavidyalaya- Pune University). Additionally, she has also done a Certificate Course in GCP (Good Clinical Practice) guidelines from Academy of Clinical Excellence, conducted by Bombay College of Pharmacy. She has fifteen years’ experience in Clinical Research, Drug Discovery and Drug Development first at Bhavan’s SPARC and later at MRC-KHS where she was an Ayurvedic expert in various projects in Reverse Pharmacology funded by ISM&H, ICMR, CSIR and Pharma Industries. Clinical Research in Ayurvedic Management, medicinal plants, pharmacoepidemiological work of Ayurvedic formulations, menopausal health and diabesity have been her fields of interest. She has been on the faculty of “Ayurvidya”- Interactive Orientation programme and Ayurvedic Nutraceuticals. She is a life member of National Integrated Medical Association (NIMA) and All India Association for Advancing Research in Obesity (AIAARO). She has been a founder member of Maitreyi Health Care Program and a Vaidya of a multidisciplinary Weight Management clinic at MRC-KHS. She is also involved in other clinical projects related to chronic degenerative diseases. At present, she is Assistant Dean at MRC-KHS, Mumbai. Her administrative responsibilities involve organization and efficient running of clinical services, coordinating educational programs of the center and actively participate in outreach community programs. Continuing her academic interest she has registered for PhD program in Life Sciences under the guidance of Dr. Ashok Vaidya and Dr. Vishnuprasad at TransDisciplinary University, Bangalore. Her topic is ‘A study of Ayurvedic Pharmacoepidemiology and Therapeutics of Madhumeha (Type 2 Diabetes mellitus): An Untapped potential for new drug discovery’. She was an active member of CREDO Ethics committee. She has 25 papers in reputed journals and has given several lectures to students and also written articles on Ayurveda in local language for lay people. She is co-author for two book chapters on obesity and diabetes viz., CRC press (Scientific Basis for Ayurvedic Therapies, 2004) and RSSDI (Text book of Diabetes Mellitus, 2008).